This is one of my favorite classic and easy go-tos. When I can't think of what to wear and am short on time, I resort to this combo. 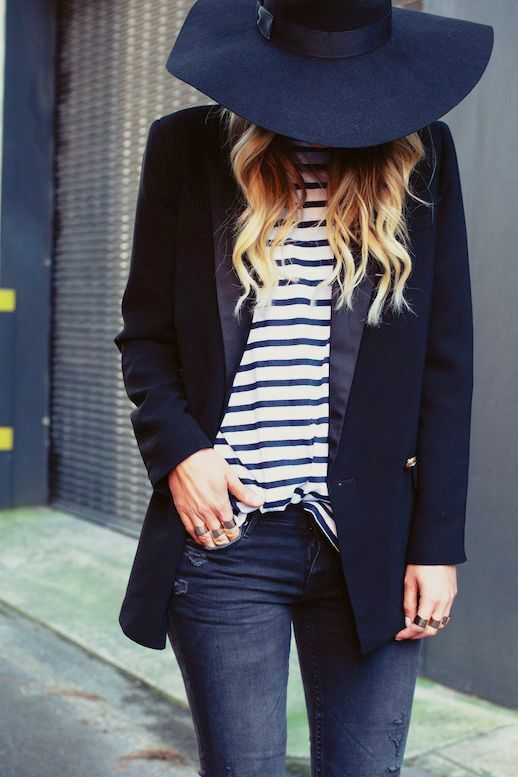 Throw on a striped tee, luxe blazer, distressed skinny jeans, a pair of black pumps, sandals or loafers, top off with a sleek hat and you're set. 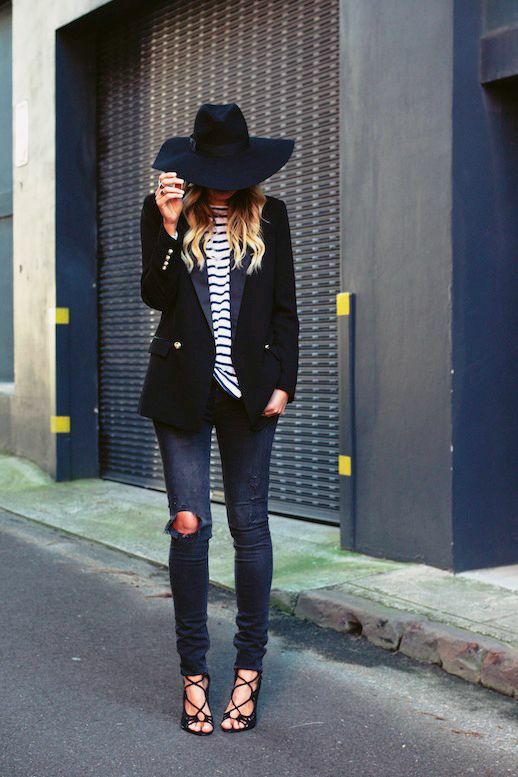 0 Response to " CLASSIC + EASY COMBO | PART 8 | BLAZER, STRIPES + DISTRESSED DENIM"